HOUSTON, June 28, 2018 /PRNewswire/ -- ENGIE Resources, a leader in the Energy Revolution, will serve the Museum of the American Revolution in Philadelphia with a six-year electricity supply agreement that includes Green-e® certified renewable energy certificates (RECs). The RECs represent the equivalent of removing more than 2,300 passenger cars from U.S. highways. Green-e Energy is the leading renewable energy certification and verification program in North America. Administered by the Center for Resource Solutions, the program provides independent, third-party certification to ensure that certified renewable energy meets strict environmental and consumer-protection standards. The Museum of the American Revolution opened in 2017 and is home to more than 3,000 objects including artwork, sculpture, textiles, weapons, manuscripts, and rare books. The Museum encompasses nearly 120,000 square feet and is dedicated to telling the story of the American Revolution. At the forefront of the Energy Revolution, ENGIE is promoting a new way for market participants to respond to a range of challenges in today's energy landscape. These include combating global warming, providing access to energy in parts of the world where it still does not exist, and developing a lower-carbon, more environmentally responsible economy. "Museums represent critical resources in society. They provide an important educational resource," said Bradford McIntyre, Regional Sales Manager of ENGIE Resources. "We're honored to work with the Museum of the American Revolution and its peers as they tell the story of our society." The Museum of the American Revolution explores the dramatic, surprising story of the American Revolution through its unmatched collection of Revolutionary-era weapons, personal items, documents, and works of art. Immersive galleries, powerful theater experiences, and digital touchscreens bring to life the diverse array of people who created a new nation against incredible odds. Visitors gain a deeper appreciation for how this nation came to be and feel inspired to consider their role in the ongoing promise of the American Revolution. Located just steps away from Independence Hall, the Museum serves as a portal to the region's many Revolutionary sites, sparking interest, providing context, and encouraging exploration. The Museum, which opened on April 19, 2017, is a private, non-profit, and non-partisan organization. For more information, visit www.AmRevMuseum.org or call 877.740.1776. ENGIE Resources is a subsidiary of ENGIE North America and part of the international energy group ENGIE. As the fourth-largest electricity supplier to non-residential consumers in the United States, we deliver a combination of products and services, highly rated customer service, and financial strength that provides unique and compelling value to our customers. Now offering solar and other renewable energy options, demand response, and on-bill financing, we assure our customers that they can count on us to create effective, customized plans for them. Our in-house energy experts work with customers to understand their operations, tailoring products and services specific to their business and budget. 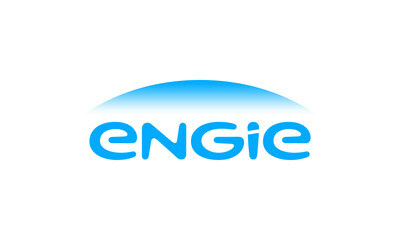 For more about ENGIE Resources, visit www.engieresources.com or call 1-866-999-8374. Follow ENGIE Resources on LinkedIn, Twitter, and Facebook. The company offers electricity service to residential and small business customers in Connecticut, Delaware, Illinois, Maine, Maryland, Massachusetts, New Hampshire, New Jersey, New York, Ohio, Pennsylvania, Rhode Island, Texas, and Washington, D.C., under the brand Think Energy®. Think Energy® works every day to be "The Unsurprise Energy Company," providing customers transparent, competitive fixed prices, easy-to-use online tools, and excellent customer service. For more information, visit www.thinkenergy.com, or call 1-888-923-3633, or email [email protected]. ENGIE Resources & Think Energy® are part of ENGIE North America, which manages a range of energy businesses in the U.S. and Canada, including electricity generation and cogeneration retail energy sales, and services to help customers run facilities more efficiently and optimize energy use and expenses. For more information on ENGIE North America, visit www.engie-na.com or Twitter.